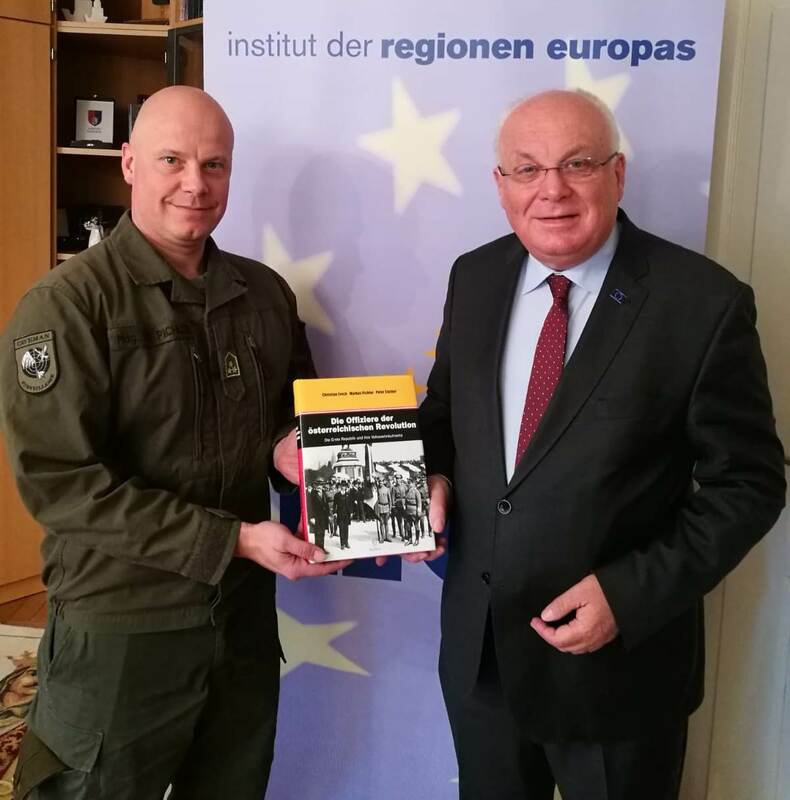 The military historian Markus Pichler presented the recently published book on the officers of the Austrian Revolution (1918-1920) to the IRE board and professor of Austrian history, Franz Schausberger. It is the first volume of a biographical series on the recent history of Austria and contains the biographies of the 122 lieutenants of the so-called “Volkswehr”. Christian Frech, Markus Pichler, Peter Steiner: The Officers of the Austrian Revolution. The republic and its “Volksarmee”-lieutenants. A military-historical-biographical study 100 years later. Vienna 2018. 330 pages.